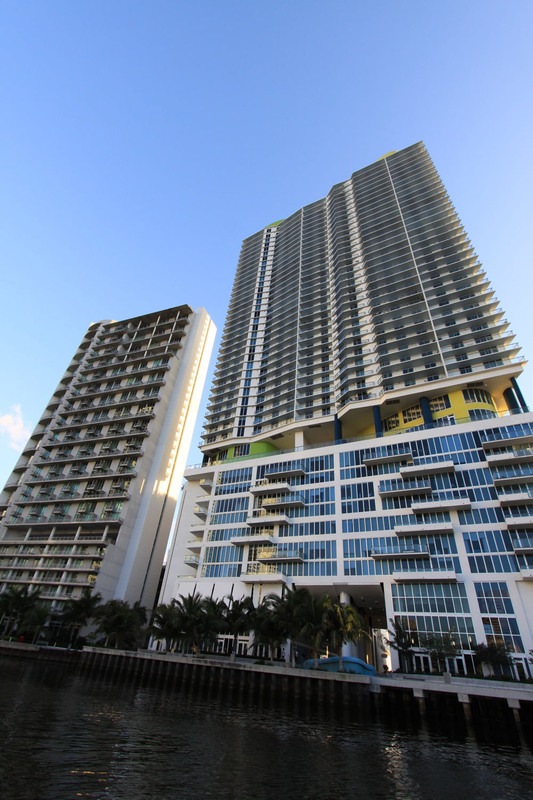 Latitude on the River is a development directly on the Miami River in Downtown Miami by acclaimed Miami architectural firm, Arquitectonica. The project was completed in 2007 and it stands 44 stories tall with 427 total residences in studio, one, two, three, and penthouse configurations. Residences range from 451 square feet to 1,486 square feet. 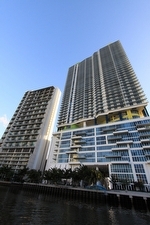 Latitude on the River is a full service building with resort style amenities in the heart of the city. Its’ standout residential features include high ceilings between 9 feet and 12 feet with floor to ceiling sliding glass doors, gourmet kitchens, wide terraces, and all are pre-wired for internet. The building amenities include secure multi-level parking, 24 hour valet and concierge, indoor/outdoor waterfront bistro and café, spacious fitness center, pool and lounges. 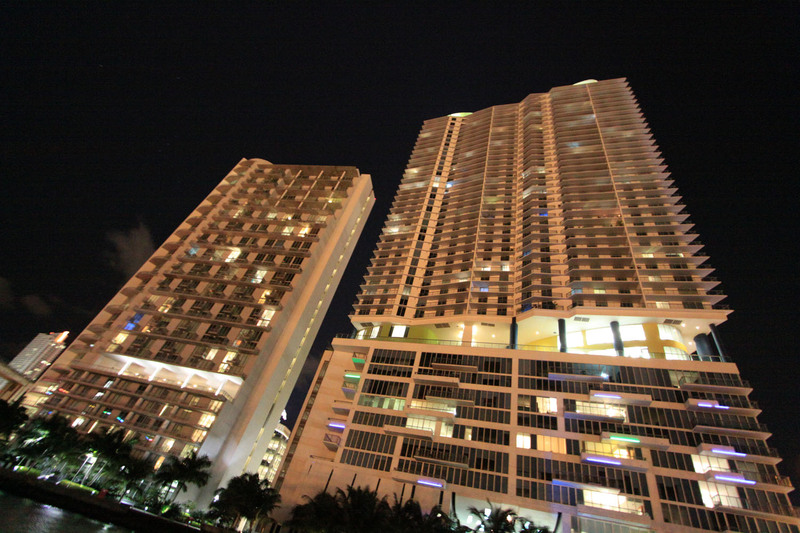 It is on the riverwalk which is ideal for after dinner strolls and residences have serene views of the river and downtown Miami. 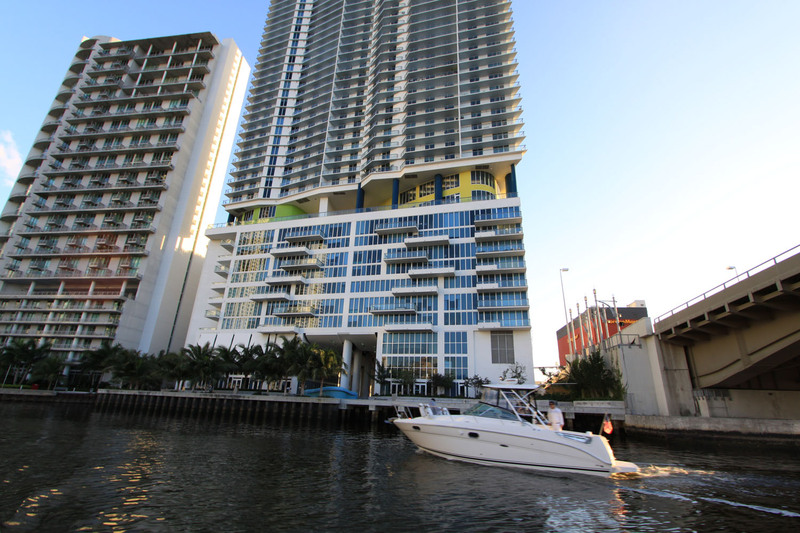 The Miami River is a small district in the heart of downtown and it is directly on the Miami River. 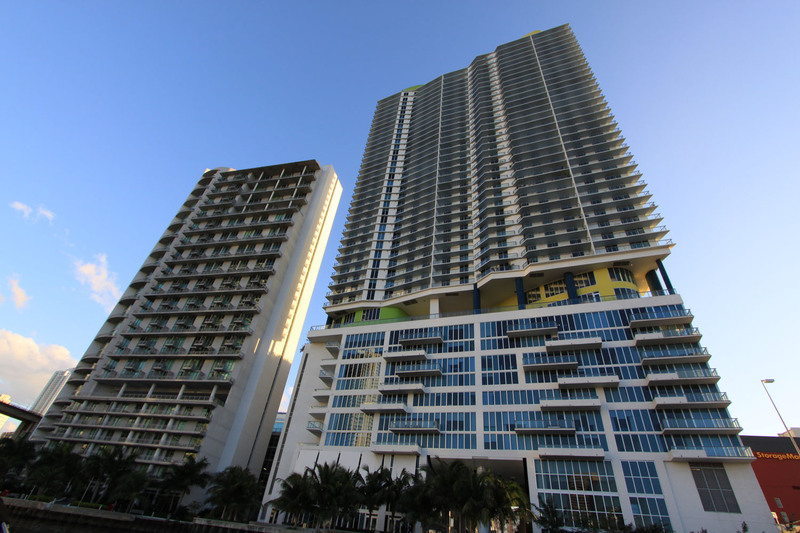 It enjoys very close proximity to Bayside Shoppes and the American Airlines Arena. 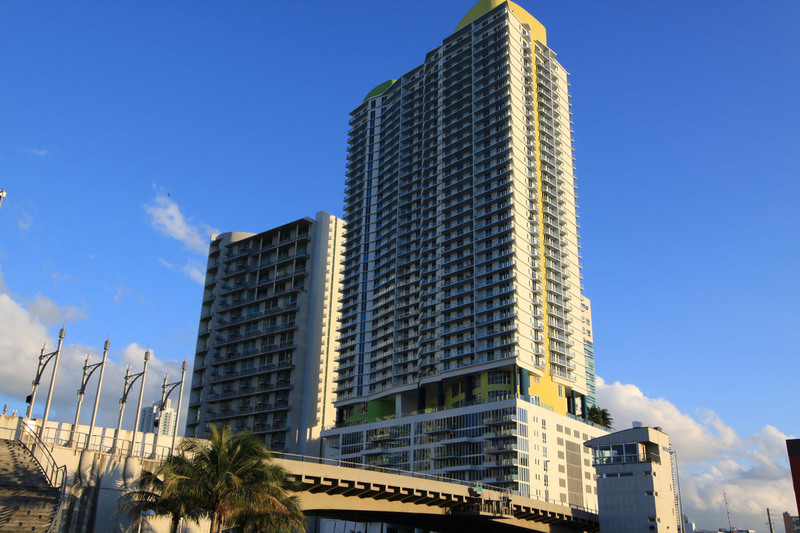 Latitude on the River is also within walking distance to the metro mover which provides access to all that South Florida has to offer. Mary Brickell Village is steps away in the Brickell neighborhood and offers a variety of gourmet and casual dining and boutique shopping. South Beach is under 15 minutes of highway driving and the Miami International Airport is under 10 minutes, depending on traffic. This building is stunning an expansive in the heart of downtown.